well the same really, and also the feeling of not having any relevance eitgher anymore. to live a life unseen? It seems like from next week it will be more normal temperatures, back to normal Swedish summer. This summer will go to history as the warmest one ever. Had to rest for 14 days due to a flu that was tough on me. But today I&apos;m back in my paths and rocking it! That my body is responding the way I want it to! Today we were all a bit shaken by the news that our times Einstein, Stephen Hawking, has died. Hawkins was a giant not only as a scientist but also as cultural person, he is often cited in pop culture and TV Shows and he did also participate as himself in various popular shows like The Big Bang Theory. I see in my flows both on Twitter and on Facebook that his impact has and is something bigger than I have seen before. 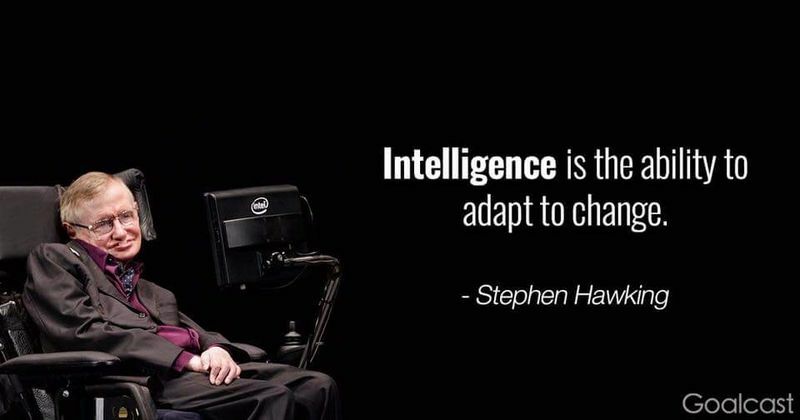 And I know history will remember Stephen Hawking with a deep understanding and also with a smile.